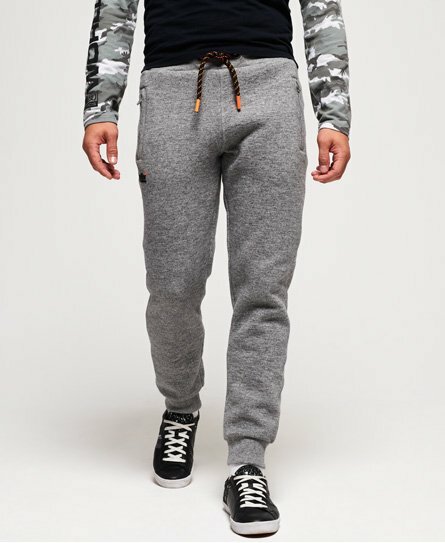 Superdry men’s hyper pop joggers from the Orange Label range. These joggers have been crafted for easy, stylish everyday wear. The hyper pop joggers feature a comfortable ribbed waistline with a drawstring, ribbed cuffs and the iconic Superdry logo beneath the pocket. These joggers have also been designed with practicality in mind, as they have been finished with two zip pockets to hold your belongings.